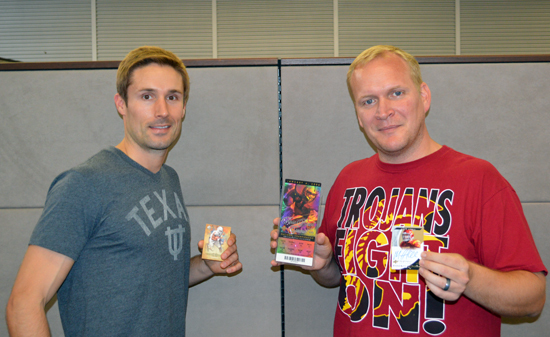 It’s College Colors Day and for Upper Deck, the exclusive manufacturer of collegiate sports trading cards, that’s a big deal. We have a fun company lunch planned for all the hard working staffers here which should be great and company employees turned out in force today in the college gear of their favorite schools & alma maters. Take a look! 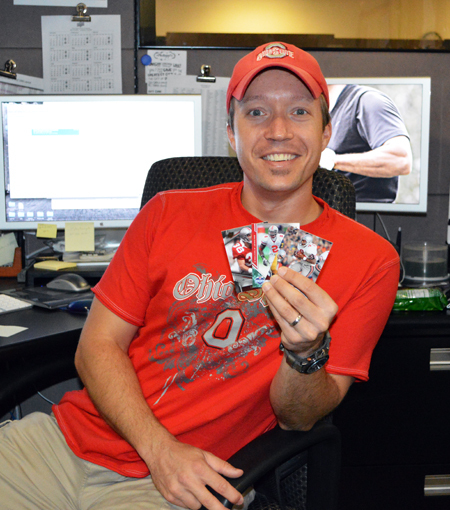 John Ibriks in Photo cheers for THE Ohio State University! 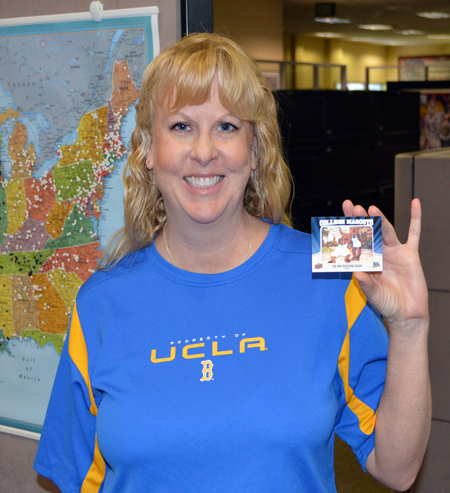 Dianne Hatley in Sales roots for the UCLA Bruins! Chris Jamie in Athlete Relations loves Troy! 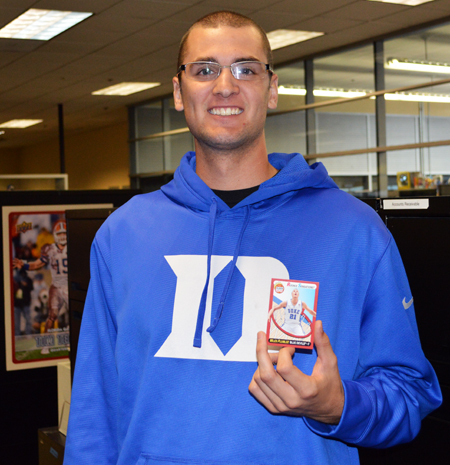 Christian Jensen in Accounts Payable thinks the Duke Blue Devils have the skills to pay the bills! 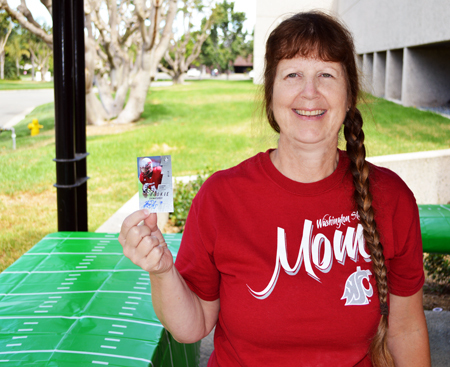 Stacy Zuniga in Purchasing is a proud mother of a Washington Cougar. 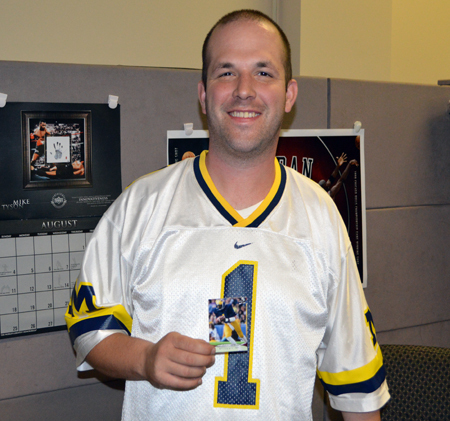 Brian Schilling in Customer Care backs the Big Blue, through and through. 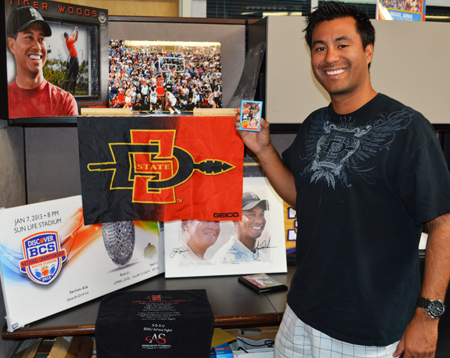 Gabe Garcia in Upper Deck Authenticated is a super fan for the San Diego State Aztecs! 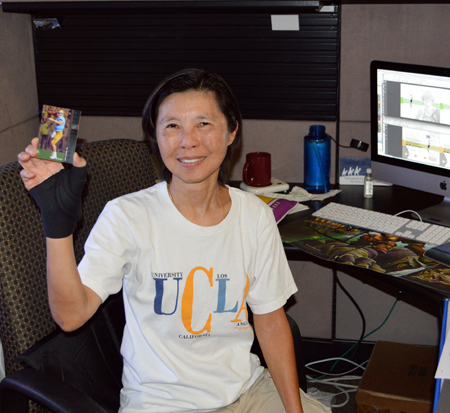 Niki Mungcharoen, a production artist in our prepress group digs UCLA! 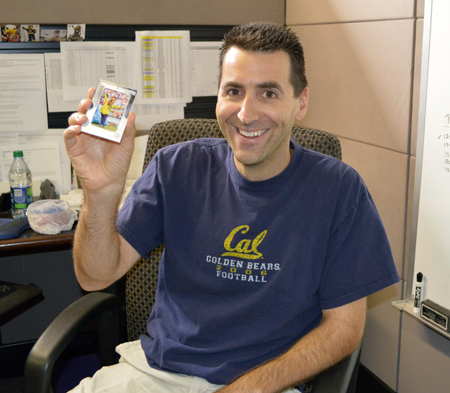 Hockey Brand Manager, Josh Zusman, gets a kick out of Cal! 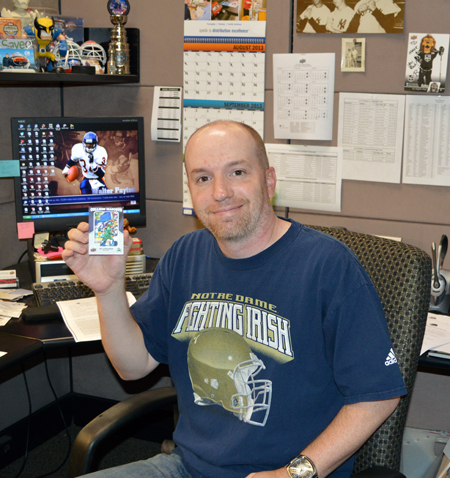 Mark Shaunessy is a Hobby Policy Enforcement Specialist who is known for shaking down the thunder from the sky to support the Notre Dame Fighting Irish! 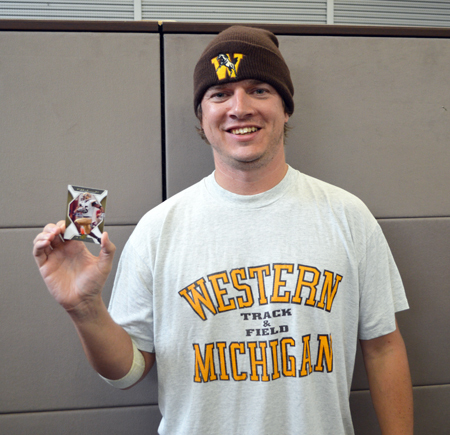 Bubby Johanson from Upper Deck Entertainment roots for the Broncos of Western Michigan! Chris and Tyler in Marketing cheer for Texas and USC respectively. Chris still has his ticket from the National Championship game USC lost to Texas. He has been known to not work well with Tyler because he still holds a grudge against Vince Young. 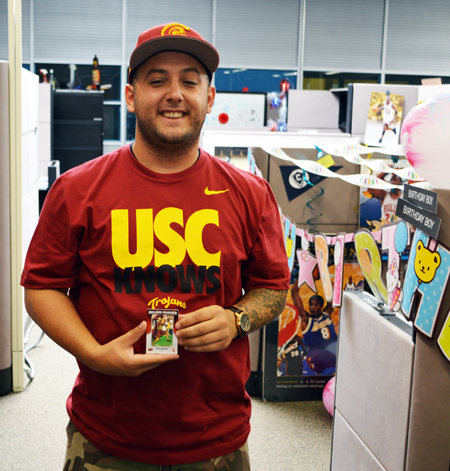 We want to see you break out your college gear and show off your favorite Upper Deck collegiate sports cards and in doing so, you might just earn the opportunity to appear on your very own Upper Deck trading card. But don’t wait around, this FREE promotion is only going on for College Colors Day, don’t miss it!